I first posted the recipe for a version of kasundi about three years ago – when it was totally knew to me – and hooked on it’s spicy yumminess I have made it many times since. With Christmas around the corner and a need for something delicious to go with all those leftovers AND a top homemade gift, I decided to give it another go – with my usual ‘tweaking’ of the ingredients to see if I could improve upon the first recipe; the taste of which was great, but I found the consistency a bit runny – by blending the garlic, chillies and ginger first to make a thick paste I found it remarkably improved. 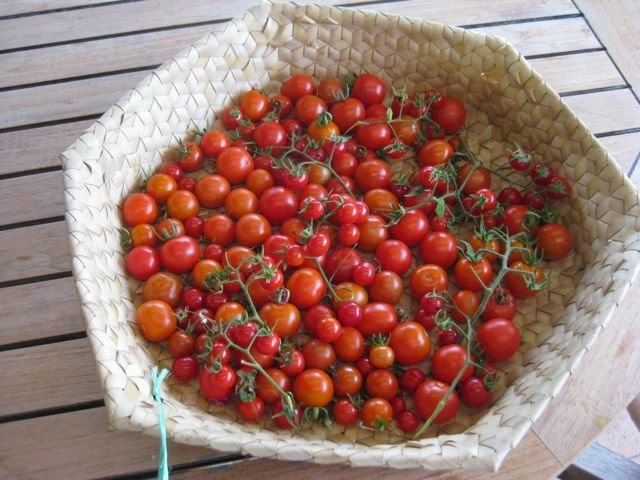 If there is one thing I have learned about living in the sub-tropics it’s about growing tomatoes – unlike every other place I have lived in – they are not a summer crop here; too wet, too hot and too many bugs, but find a the right spot in your garden and you can grow them for a good nine months of the year, right through winter, until late spring. I harvested the last of my crop for the kasundi, but you can just as easily use canned tomatoes. 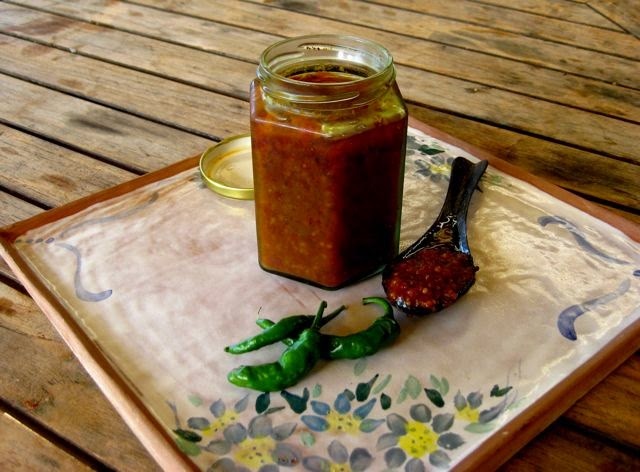 The taste is fabulous – rich, pungent and spicy and great with eggs, curries and rice dishes – and especially pakoras (Indian vegetable fritters) Easy to make this relish will keep, unopened in the fridge, for six months or more. The quantity of the ingredients may seem a little excessive – have faith, it works! I thought the number of chilles was going to make it far too hot so included less to start with – I ended up adding more because it wasn’t pungent enough – 30 it is! NOTE: Do this with disposable gloves on! 1. Place the ginger, garlic, chillies and 50ml of the vinegar in a food processor and puree to smooth paste. 2. Heat the oil in a wok, add the dry spices and cook on a medium heat for five minutes – being careful not to burn them. 3. Add the ginger paste and cook for further five minutes. 4. Add tomatoes, sugar, salt and remaining vinegar and simmer for about an hour. When the oil comes to the top it is ready. 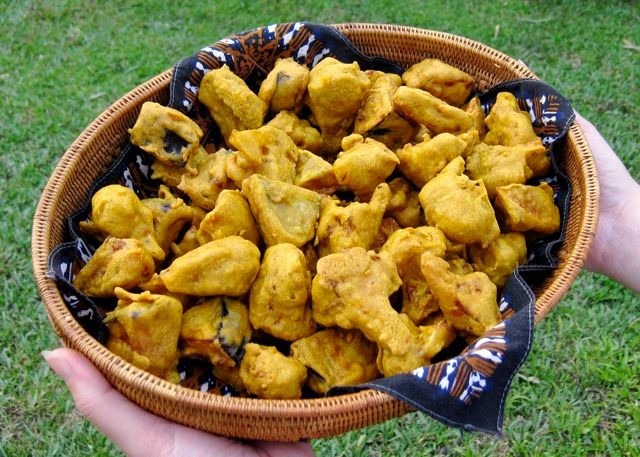 Kasundi is the perfect accompaniment to homemade cauliflower and eggplant pakoras. Check out the recipe. Having people over – then this is the perfect snack with a glass of something cold.